5G networks are becoming a reality soon, and Nokia will play an important role in upgrading of many operators to it. 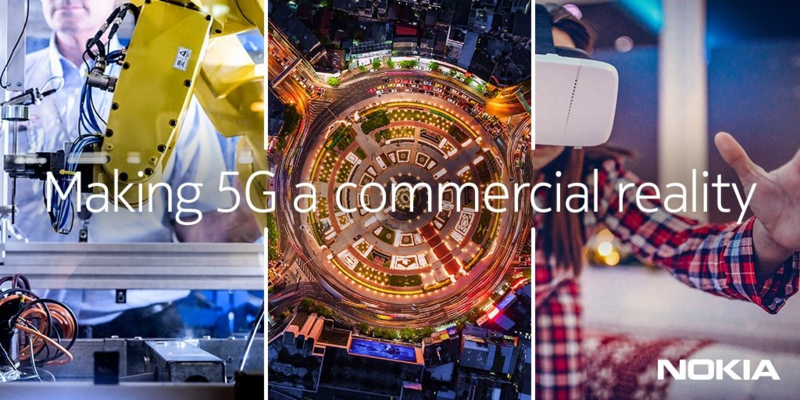 At the very beginning of 2018 Nokia announced that it will collaborate with T-Mobile on launching the first 5G 28 GHz cell on air. Nokia will be using its AirScale 5G cells which will be real-world environment test in accordance with 3GPP standards. Nokia has also signed an agreement with Japanese largest operator NTT DOCOMO for further upgrade of existing base stations and integration of Nokia’s 3GPP-compliant 5G new radio-based hardware into their network. This will ensure the smooth transition from 4G/LTE towards 5G network, and both Nokia and NTT DOCOMO target 2020 as the year when 5G network will be operational. Nokia is a long partner to Japan’s largest operator, and that partnership resulted in 3G and 4G network implementation and also Nokia worked closely with NTT DOCOMO in trials of 5G technologies. This is great news for both Nokia and NTT. It seems to me that the implementation of 5G networks goes a bit faster than 4G networks. But this doesn’t surprise as Japan was always fast on implementation of new networking technologies. I assume that other developed countries won’t wait so much, since many operators around the world already upgraded their networks to 4.5 and 4.9G which will help in the fast transition to 5G.